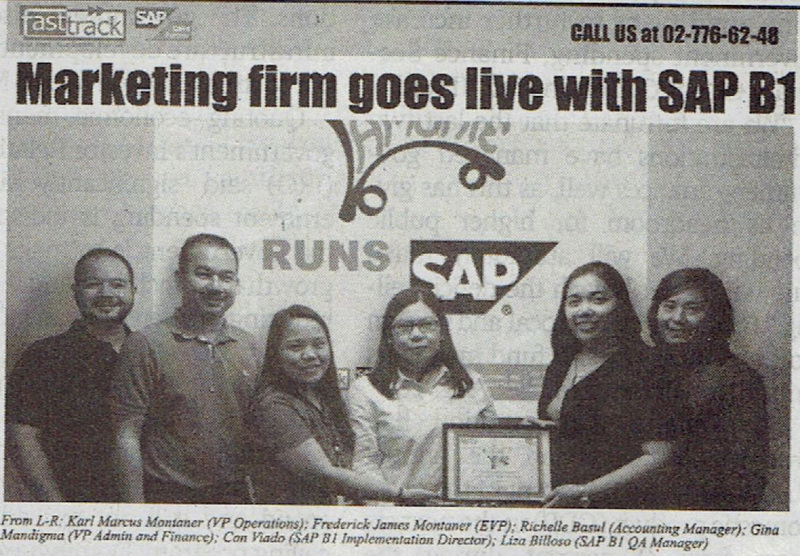 Consumer marketing company Lamonte recently went live with its SAP B1 implementation through a partnership with Fasttrack Solutions, Inc. – a show of its preparedness to embrace technology in enhancing its operations and becoming more competitive to serve its customers better. Lamonte, founded 22 years ago, specializes in providing marketing services to consumer-oriented companies. It counts among its clients top players in the food, beverage, drug, personal care and telecommunication industries. Despite its relative success in its core business, its nationwide coverage and trained and experienced manpower, Lamonte always knew it could use some help in managing its financial information especially as it related to other business units in the organization. Its acquisition of the SAP B1 software has enabled Lamonte to generate financial reports in real time, monitor, trace and reconcile transactions and print external forms. “We have done away with working extended hours. Our people are more efficient, more productive and more focused. SAP B1 has done wonders for us and because of this, we are in a better place to do wonders for our customers as well,” added Montaner.